Come join the Dublin IxDA community for a night of inspiration, innovation and insight as some of Ireland's leading experts in the field of Interaction Design share their stories and highlight some of the most compelling design challenges they face. 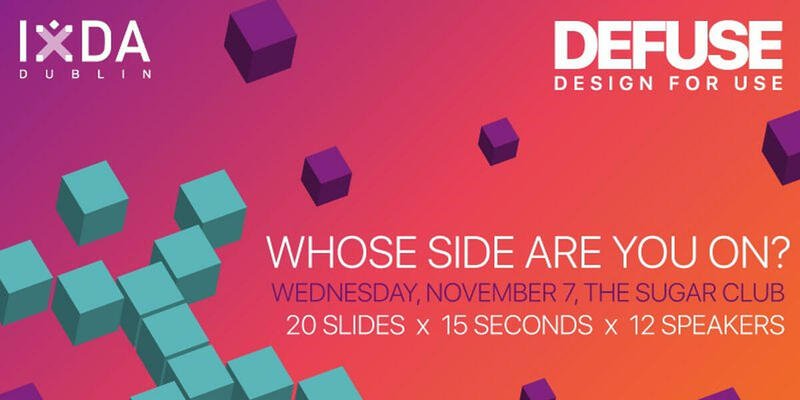 IxDA Dublin will host an evening with 12 of Ireland's Interaction Design experts who have just five minutes to present their most compelling ideas about design. The evening will also include a great design competition with a fantastic prize up for grabs. It's a perfect opportunity to celebrate the World Usability Day. We hope to continue the creative conversation late into the evening. Come join us! *The event is free and no tickets are required. First come first served. Show up early to avoid disappointment.